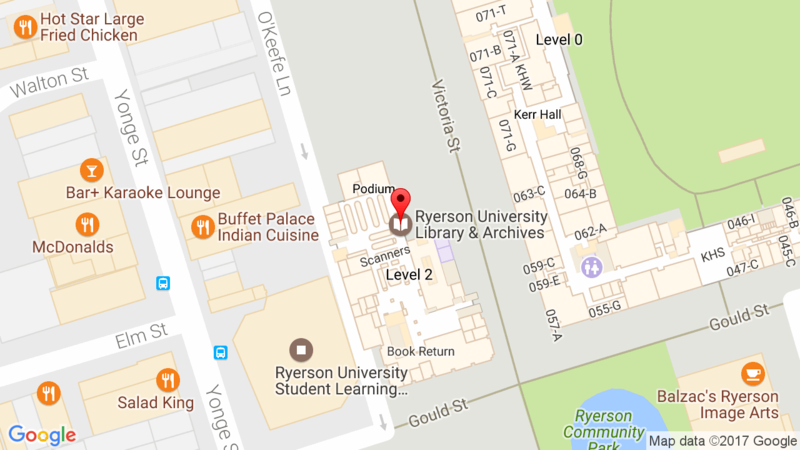 The Ryerson University Library Collaboratory is a space and interdisciplinary research hub on the 3rd floor of the Library, accessible via the SLC. The Collaboratory provides graduate students, faculty and their research teams with space and technology resources to facilitate research and course development. We accept registrations from faculty members, graduate students, and research teams (working under a faculty member), to use this community workspace. Accessing the Collaboratory: Unless an event is marked Private, members are welcome to access the space for quiet work at these times. Unless noted below, all other dates and time are open to members for regular use of Collaboratory space. 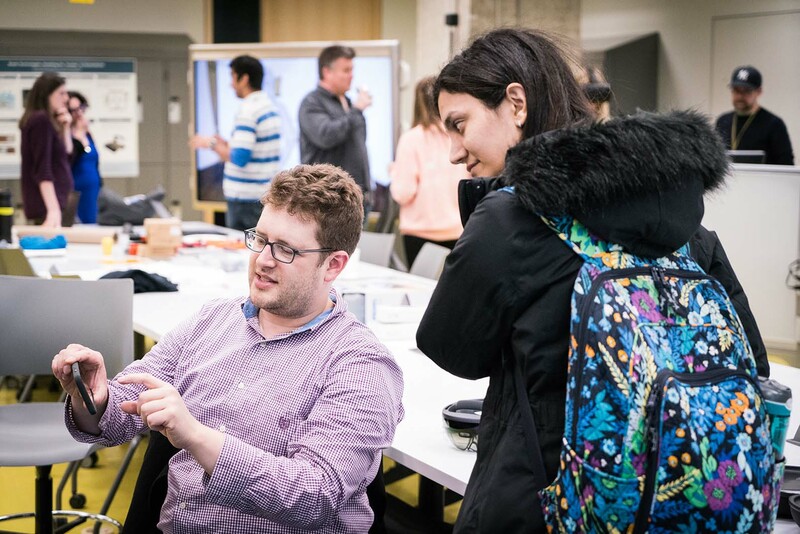 Individual faculty are free to explore the Collaboratory in whatever area they are interested in, whether to learn about new equipment or peruse their own research. Our goal is to lower the barrier for access to equipment for faculty. Fill out this form to verify faculty/instructor status and for requesting door access. Researchers who have a project team or would like dedicated space work can apply with a research project. Faculty whose research assistants need space to work or access to technology are welcome to register using this form, and will be contacted with progress. 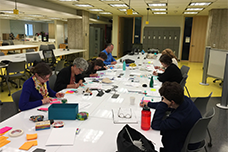 Through the Collaboratory, the library provides access to workspace and technology resources for Ryerson faculty, sessional instructors, staff, and graduate students. Researchers and/or research teams get access to a multi-configurable work space for research meetings or physical fabrication, a quiet room for interviews, and more. Collaboratory Consultants are available to assist and advise on project development. Our diverse skill set covers a variety of technologies and disciplines. Access 3D printers, laser cutters, digital embroidery machines and more. Consultants on staff can provide members with one-on-one tutorials for technology resources. This is Private event and closed to Members. This event is in the Collaboratory Meeting Room. Members are welcome to continue to use the Collaboratory main space.